Conquering Morro Dois Irmãos - Rio & Learn Portuguese - RioLIVE! 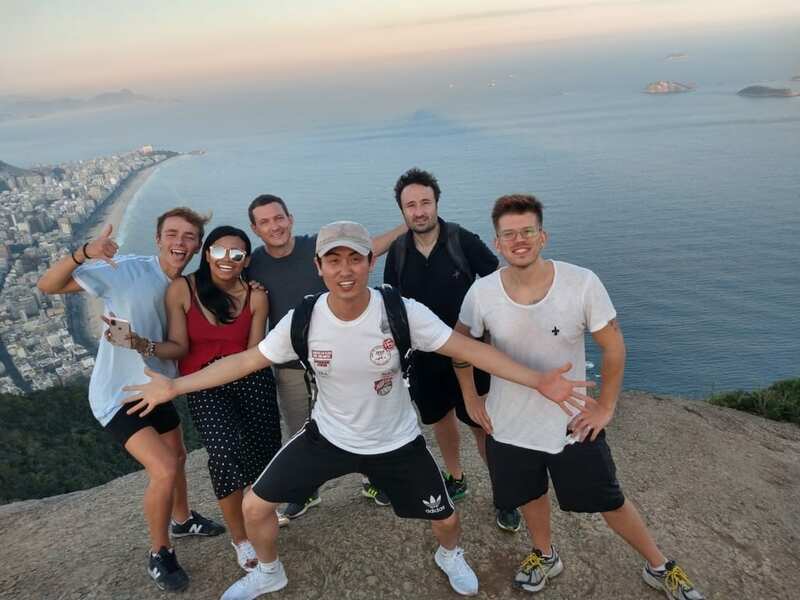 Portuguese students and explorers at Morro Dois Irmãos! RioLive! ist wirklich zu empfehlen. Die Lehrer tun alles um den schuelern eine unvergessliche zeit in Rio zu ermoeglichen und organisieren deshalb regelmaessig die unterschiedlichsten Aktivitaeten, die nicht nur unglaublich Spass machen, sondern einem auch noch ausserhalb der Schule die Moeglickeit bietet seine Portugiesisch Kenntnisse zu verbessern und auch anzuwenden. Wirklich bemerkenswert ist dabei wie sehr sich die Lehrer dabei bemuehen, dass jeder einzelne in die Gemeinschaft integriert wird und Spass hat. Aus diesem Grund kann ich sagen, dass ich auch dank RioLive so viel geschichtliches und interessantes gelernt habe, was ich sonst nie erfahren haette. Danke dafuer. Celebrating at the top of Morro Dois Irmãos. 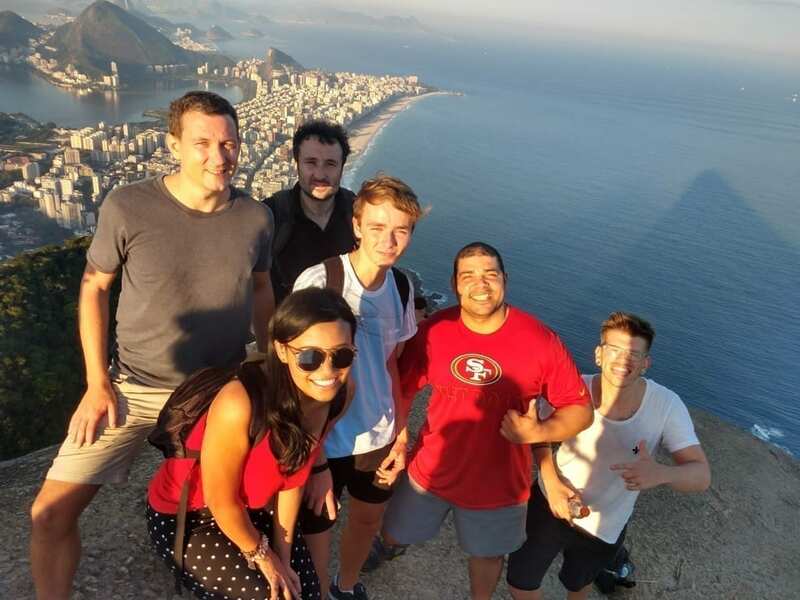 Besides being experts in Portuguese, our students showed how good they exploring by conquering Morro Dois Irmãos. They were really excited to do this RioLIVE! and spent the whole week talking about it, when the time has come, they didn’t back down and were up to do it. We started hiking in a very good way, we had some pit stops to rest, hydrate and of course admire the views on the way to the top of the mountain. Some students were tired during the way but their school mates were very kind motivating and helping them to go up! When they finally reached the top, everything was worth it! They were speechless with the view and with the amazing pictures that they could have! Come to Rio & Learn and you will have the same opportunity conquering Morro Dois Irmãos and joining the other RioLIVE! Activities.